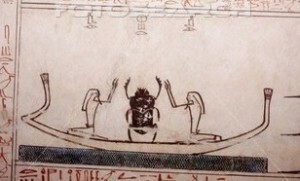 Khepri on the bark with two images of Osiris. Tomb of Tutmosis III. 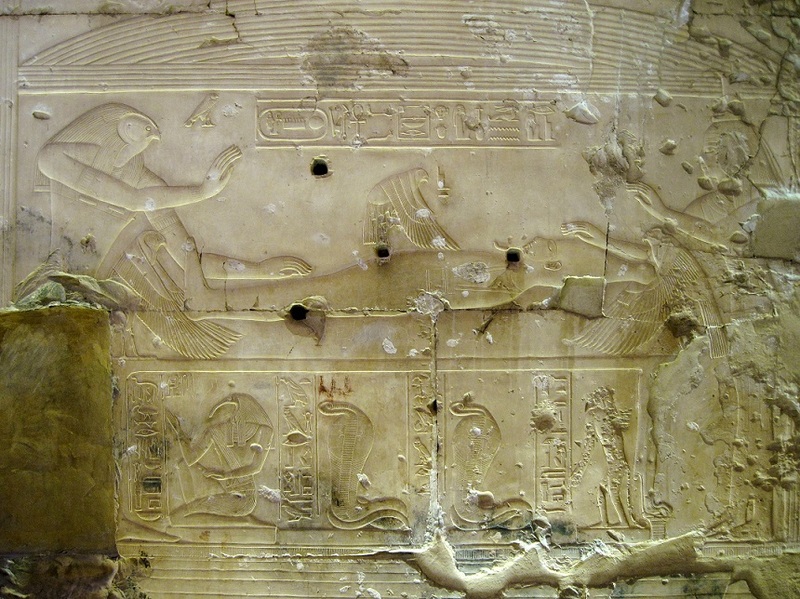 In the temple of Abydos was depicted the resurrection process of Osiris, where Isis as a kite put herself over the phallus of her dead husband. 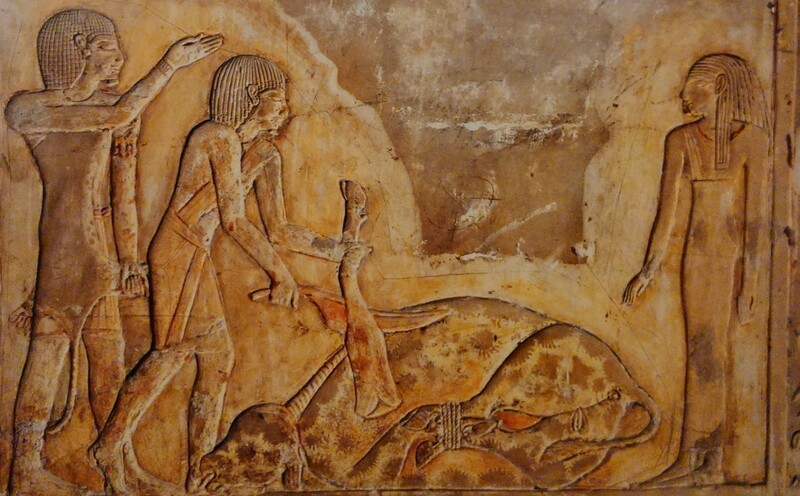 In his funerary temple of Dra Abu el-Naga Sethos I included a scene of the resurrection process where the two mourners at both ends of the corpse were performing the mourning rite of shaking hair towards the mummy. The Osirian rites of resurrection were also quite detailed included in the decorative program of his tomb (KV17), where the Opening of the Mouth Ceremony was depicted in a very complete way, including the figure of the mourning woman. Scene of the Opening of the Mouth ceremony. Slaughtering the ox in front of the mourner. Tomb of Sethos I. It was a fact, that the ancient Egyptian corpus of images would need iconography for expressing the union of Re and Osiris. And little by little in this iconography Isis and Nephthys, the two mourners of Osiris, became essential. In following posts we will see the iconographical solutions that the ancient Egyptian artists found for including the two mourners Isis and Nephths into the solar-osirian images.